One initiative I’m working on in my position as Postdoc in Digital Scholarship at Southwestern University is the Latina History Project (LHP). Co-directed by Southwestern faculty members Dr. Brenda Sendejo (Anthropology) and Dr. Alison Kafer (Feminist Studies) the LHP aims to enhance undergraduate education about Latina history in the Central Texas region. As part of my contribution to the project, I’m working with two stellar student workers and juniors at Southwestern, to explore and process archival materials pertaining to Southwestern’s own Latina histories. 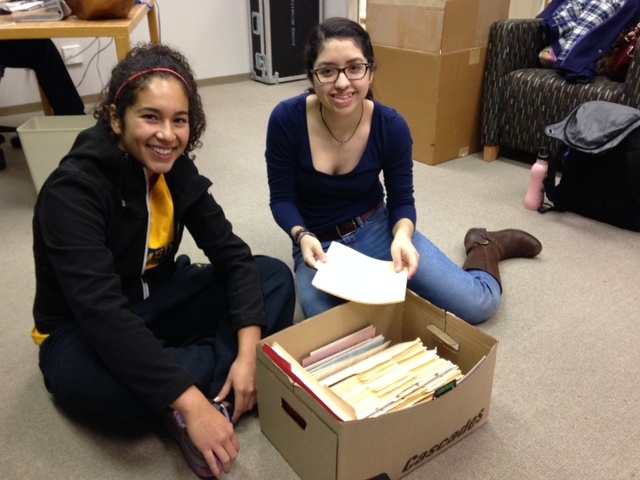 Box of folders… or TREASURE TROVE of Central Texas Latina history? Tori (left) and Nani (right) are on the case! 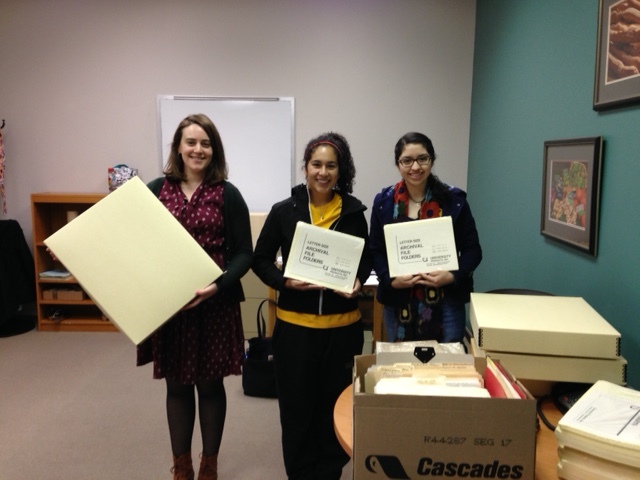 Dr. Mary Visser (Art) has graciously provided the LHP with a trove of primary source materials related to an important aspect of Southwestern’s own institutional history as it connects with Latina history. During the early 1990s, Dr. Visser collaborated with Lupita Barrera Bryant to curate a photography exhibition at Southwestern. 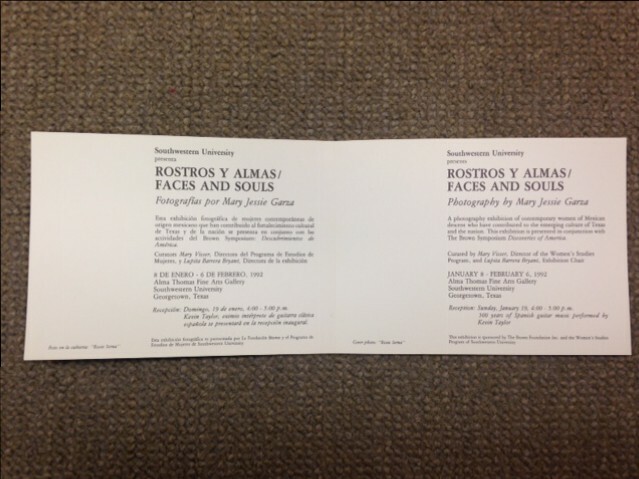 “Rostros y Almas/Faces and Souls” featured photography by Mary Jessie Garza. 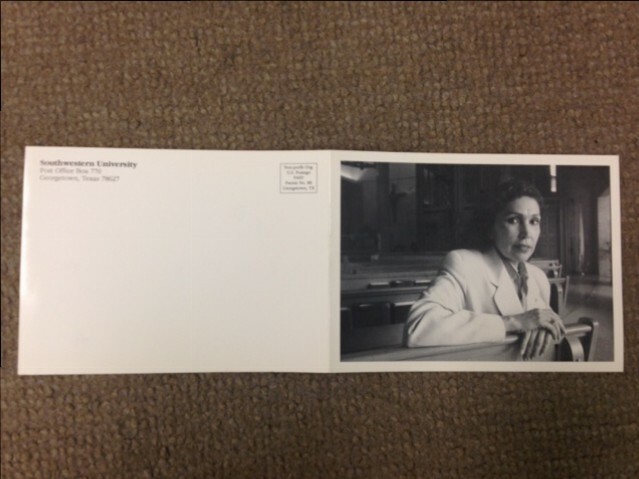 According to the invitation pictured above, the exhibition includes images of “contemporary women of Mexican descent who have contributed to the emerging culture of Texas and the nation.” The box of materials Dr. Visser provided includes separate information folders for each woman photographed for the exhibit, negatives of all of the portraits taken for the exhibit, and materials that Visser and Bryant researched to learn about potential subjects. Tori and Nani and I have made some headway inventorying the materials, and thinking about how best to organize them into the protective mylar covers and acid-free boxes and folders that Dr. Visser gave us for purposes of preserving the materials. Proudly posing with acid-free boxes and folders. 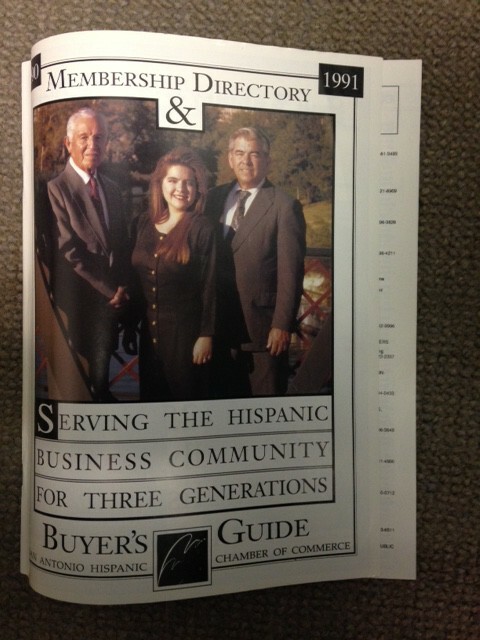 Gotta love early-nineties business casual! 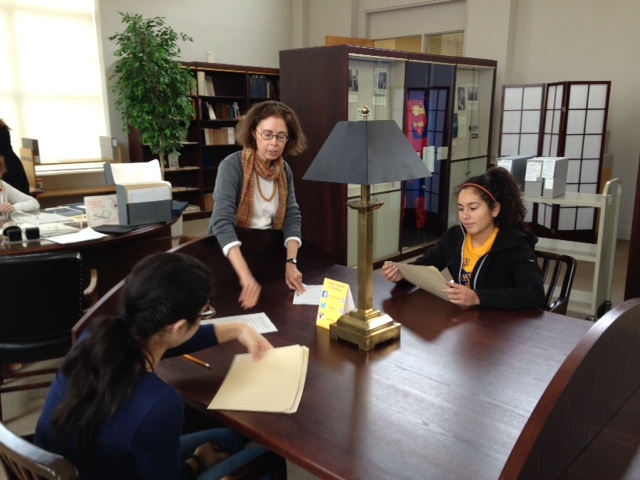 In addition to exploring the materials from Dr. Visser, we also visited Southwestern’s own Special Collections to explore holdings pertaining to Latina/Latino history. Kathryn Stallard, Director of Special Collections, gave us a helpful orientation in the Reading Room. 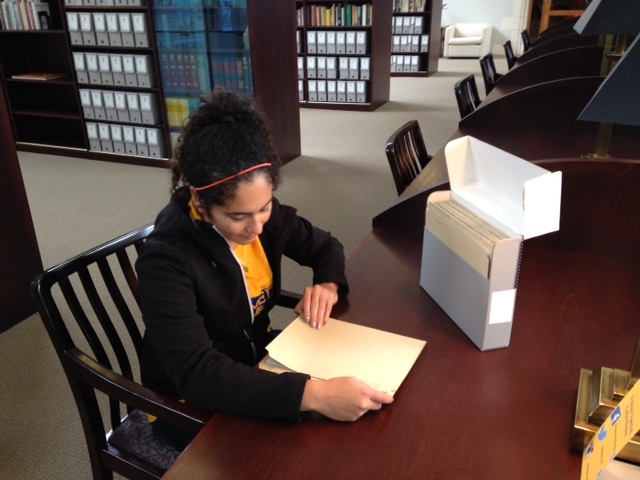 Here’s Tori getting down to the business of archival analysis! So far, so fun! I look forward to seeing where the Latina History Project takes us as we continue with archival processing and analysis tasks.